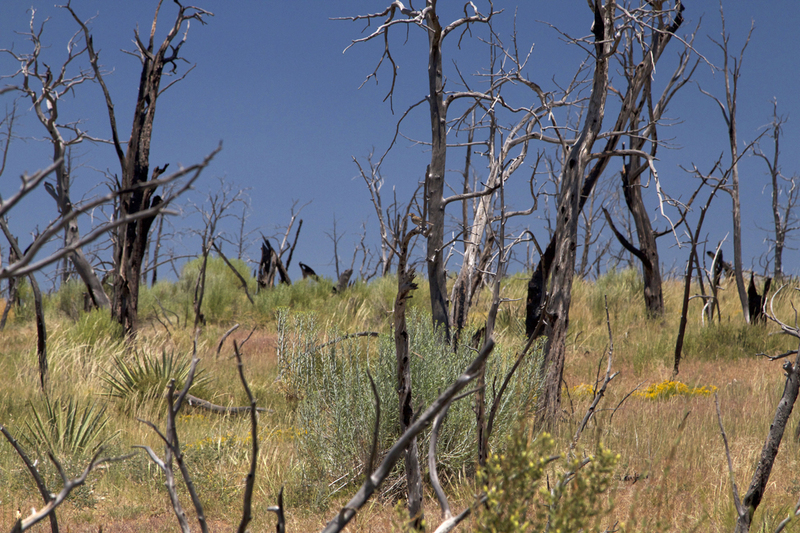 Pinon and juniper forests that burned in the early 2000s show little sign of regeneration. Pony Fire area photo credit AWeekOrAWeekend.com. 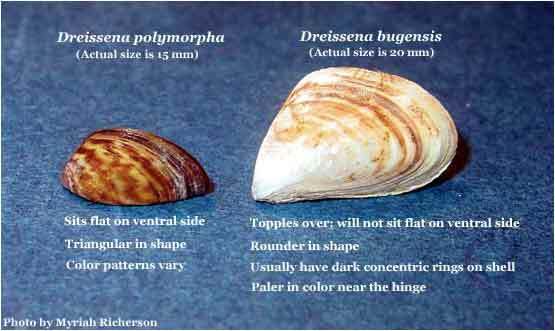 In the mid-to-late 1990s, the invasive Ips beetle found its way into Mesa Verde and wiped out the old-growth piñon in its path, the oldest of which ranged from 500 to 1,000 years old. Even in perfect natural conditions, piñon and junipers take a long, long time to grow. Board President John Porter and Vice President Steve Fearn, representatives of Montezuma and San Juan counties, respectively, were voted off the board by commissioners in their respective counties. Fearn, a prominent longtime coordinator of the Animas River Stakeholders Group, has represented San Juan County on the water conservation board since 1990 and served as vice president since 2007. Commissioners voted to appoint Charlie Smith, part-time Silverton resident and eight-year general manager of the Lake Durango Water Authority, as Fearn’s replacement. The fact that the state of New Mexico named Fearn in a lawsuit as a “potentially responsible party” for mine pollution in the Gladstone area was noted in the county’s decision, Sunderland said. The board consists of nine members representing Archuleta, Dolores, Hinsdale, La Plata, Mineral, Montezuma, Montrose, San Juan and San Miguel counties. Board directors can serve an unlimited number of three-year terms. Montezuma County commissioners selected Don Schwindt to replace Porter, who was general manager of the Dolores Water Conservancy District for 22 years and a Southwestern board director for 26. Porter thinks the proposal, criticized by Montezuma County commissioners, influenced his removal. Under Porter’s leadership, Southwestern Water Conservation District contributed funds to hire a water attorney to rewrite draft National Conservation Area legislation, which Porter thinks was perceived as support for the bill. Montezuma County Commissioner Larry Suckla said the commission chose Schwindt because of his water knowledge, and the conservation area proposal did not play a part in the decision. When Porter joined the board in 1990, he said water storage and dam construction were the district’s primary focus, including such projects as Lake Nighthorse. But gradually, the focus broadened to consider recreational water use and water quality. Porter refers to his tenure as a career highlight, and said the importance of inter-basin relations and dialogue will only increase as time goes on, water supply dwindles and population grows. 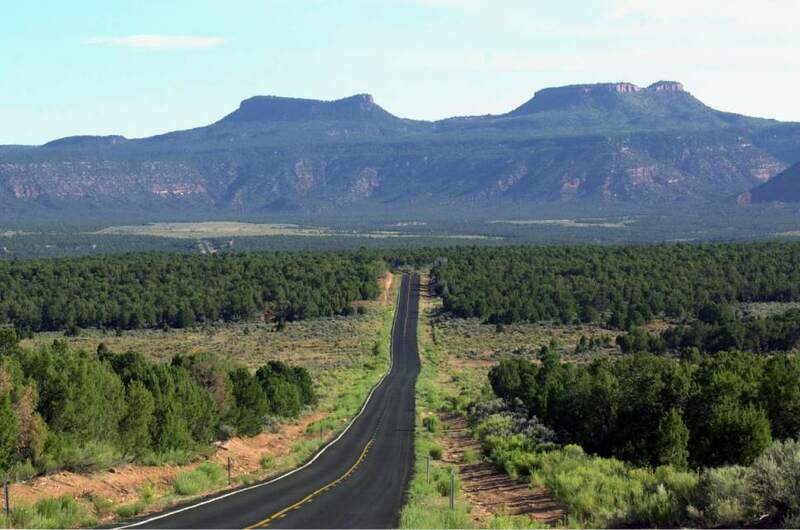 …councilwoman Regina Whiteskunk…also reminded Obama of the Bears Ears Monument plan, which is supported by a coalition of five tribal leaders in the Southwest. 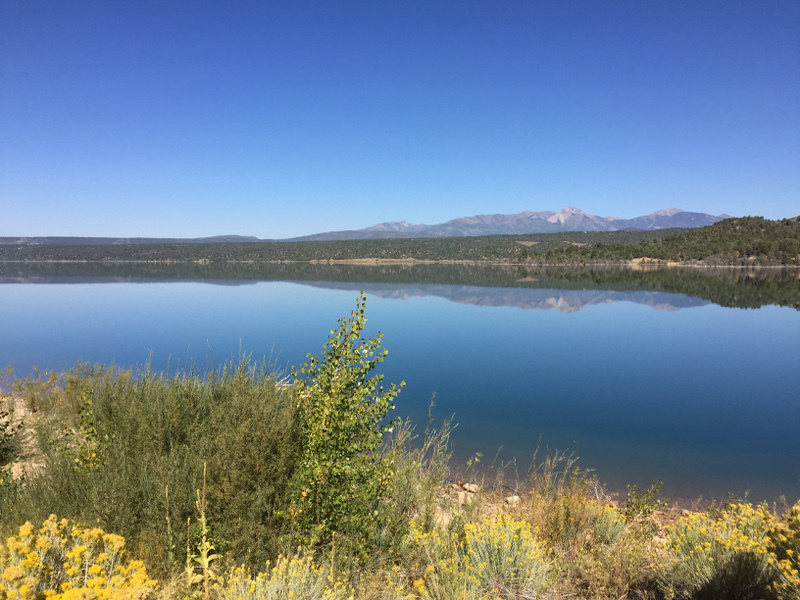 Currently, a key issue for the Ute Mountain Ute tribe is delivering water to the reservation from Lake Nighthorse near Durango, [Tribal Chairman Manuel Heart] said. The tribe owns 40 percent of the water in the 120,000-acre-foot reservoir, and a component of the Animas-La Plata Project built to satisfy Ute Mountain, Southern Ute and Navajo water rights. But while much of the lake’s water is owned by the Ute Mountain Utes, it is out of reach for practical uses, Heart said. The White House Council of Native American Affairs was created, a cabinet level office that focuses on Indian Country issues. More than 428,000 acres of tribal homelands were restored back to their original owners, and the Cobell settlement was signed into law that established the $1.9 billion Land Buy Back Program to consolidate individual Indian lands and restore them to tribal trusts. Reauthorized the Violence Against Women Act so that tribes can prosecute those who commit domestic violence against women in Indian Country, whether they’re Native American or not. Provided health care services in Indian Country through the Affordable Care Act, including permanent reauthorization of the Indian Health Care Improvement Act. Whiteskunk praised Obama for “elevating the voice of Native Americans and valuing us” during his administration. In her meetings with federal officials, she pushed for improved consultation with tribes on projects and laws affecting Native American lands. The road to Bears Ears via the Salt Lake Tribune. This summer, the Mancos Water Conservancy District has continued investigating a possible title transfer for the Jackson Gulch Project, Superintendent Gary Kennedy said Wednesday. The district has been pursuing a transfer of ownership from the U.S. Bureau of Reclamation, so that the district could be the sole owner of the reservoir project. It’s a lengthy process that could take five years or more and requires an act of Congress, Kennedy said. One issue with the transfer is what would become of federal lands that have been withdrawn to become part of the project, Kennedy said. “Our concern is that if we took the title, that land would stay with the project, instead of going back to the Forest Service,” he said. The MWCD board also has had general discussions about other issues regarding the transfer, including liability. No funds have been committed to the title transfer, and the process is still in baby steps, Kennedy said. Either party — the Bureau of Reclamation or the MWCD — can withdraw from the process at any time, he said. Some funding may come through in the next three to four years for the project rehabilitation effort, Kennedy said. The next item the district is focusing on rehabilitating is the reservoir inlet chute. The cost to get those chutes into top shape would be about $1.2 million, which could be funded by both Bureau of Reclamation grants and MWCD funds, Kennedy said. The district has put in a request for funding to the BOR, he said. A contractor is on site working on rock mitigation around the project site, especially in West Mancos Canyon, Kennedy said. People are asked not to go in the canyon when there is work taking place there, and signs are posted around the site to make people aware, Kennedy said. The Mancos Water Conservancy District board voted to put up for lease 150 acre-feet of water from the Jackson Gulch project, district Superintendent Gary Kennedy said. The board approved the water lease at their meeting June 14. District officials will be going out to see if people need extra water, though they might not need extra because of the wet spring season, Kennedy said. 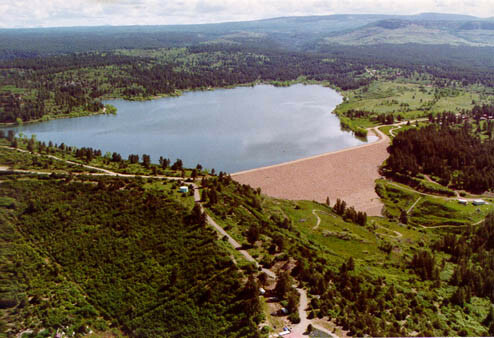 The board and the Federal Bureau of Reclamation found agreement on project water rights for Jackson Reservoir, Kennedy said. The rights will be assigned to the water district from the federal government, he said. Also at the meeting, the board discussed the title transfer for the project, Kennedy said. The title transfer is an ongoing issue that will take many years to resolve. The district had hoped to complete some appraisals of land associated with the project this summer, but that hit a snag, Kennedy said. The cost for the appraisals is almost double what the board anticipated, and another government agency will be involved, he said. Even if the board decides to pay the new price for the appraisals, Kennedy could not say how long that would take. The district is planning a party to celebrate 75 years of the water district. 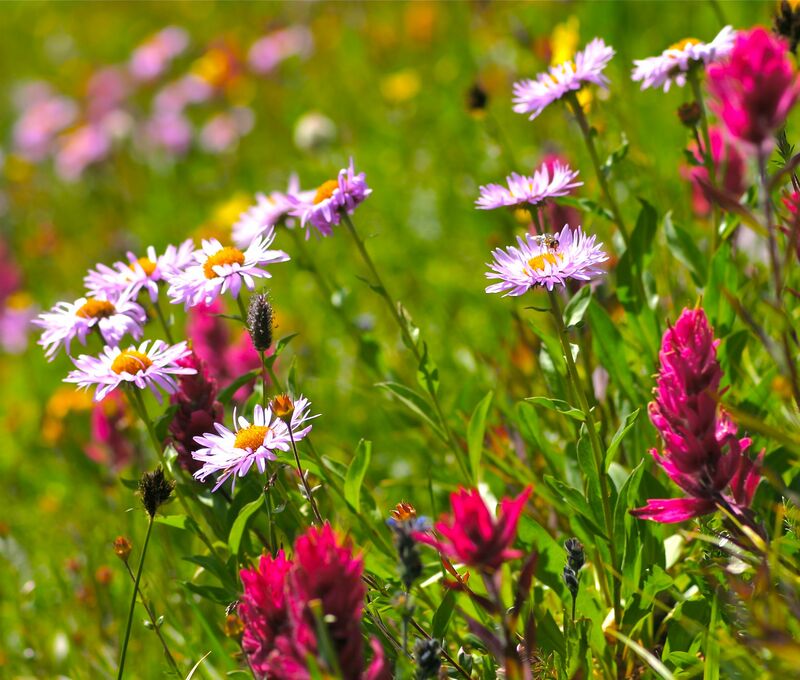 The celebration will take place July 16 at noon at Jackson Gulch Reservoir on Road N north of Mancos. There will be a barbecue as well as some educational information on the history of the district. RSVP is requested by emailing Kennedy at gary.mwcd@gmail.com or calling 970-533-7325. District officials also will be working on clearing the inlet canals to the reservoir this summer, Kennedy said. The reservoir’s two drop chutes also need some work, but that might not take place until 2019, when the district could receive money from the federal government to rehabilitate the chutes, Kennedy said. Board member Boe Hawkins was reappointed to a four-year board term at the meeting. The reservoir’s jet valve was rebuilt over the winter, and some safety issues came up with the valve, Kennedy said. After investigation, the valve was operating normally and there were no major problems, he said. The hydro lease of the power permit for the project is still moving forward and the board is still working on it, Kennedy said. At next month’s board meeting July 12, board members will elect officers.